This home red air-knit gamer by Reebok was worn by Henrik Zetterberg during the 2007-08 Stanley Cup winning season. 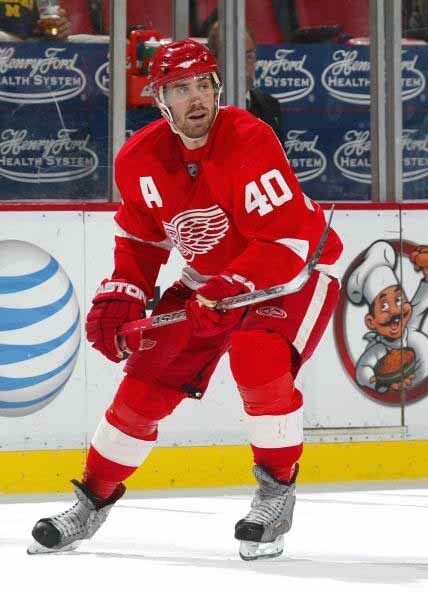 The Detroit Red Wings selected Zetterberg in the 7th round of the 1999 NHL Entry Draft. This Swedish native began his NHL career with the Wings in 2002-03 and has spent his entire 11-year NHL career in the Motor City. Thru 759 games, Henrik has lit the lamp 279 times and added 441 assists for a total of 720 points. In 125 playoff games, this winger has scored 56 goals and 116 points, quite impressive. Zetterberg was the recipient of the 2008 Conn Smythe Trophy as the Most Valuable Player of the playoffs as his 13 goals and 27 points in 22 hard-fought playoff games helped the Wings to Stanley Cup glory. Proudly sewn to the right breast of this gamer is the alternate Captain’s “A”. The game wear on this 1st set size 54 sweater is solid and consists of stick and slash marks, board burns, board paint transfer, un-repaired burn holes and plenty of pulls and pilling that were inherent to these Reebok sweaters. 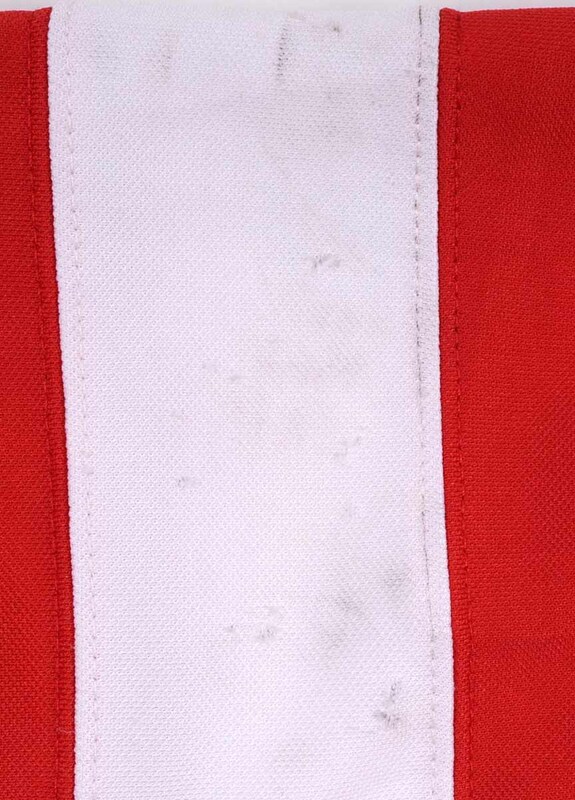 Sewn to the inside hem is the official Detroit Red Wings game worn jersey and set tagging. 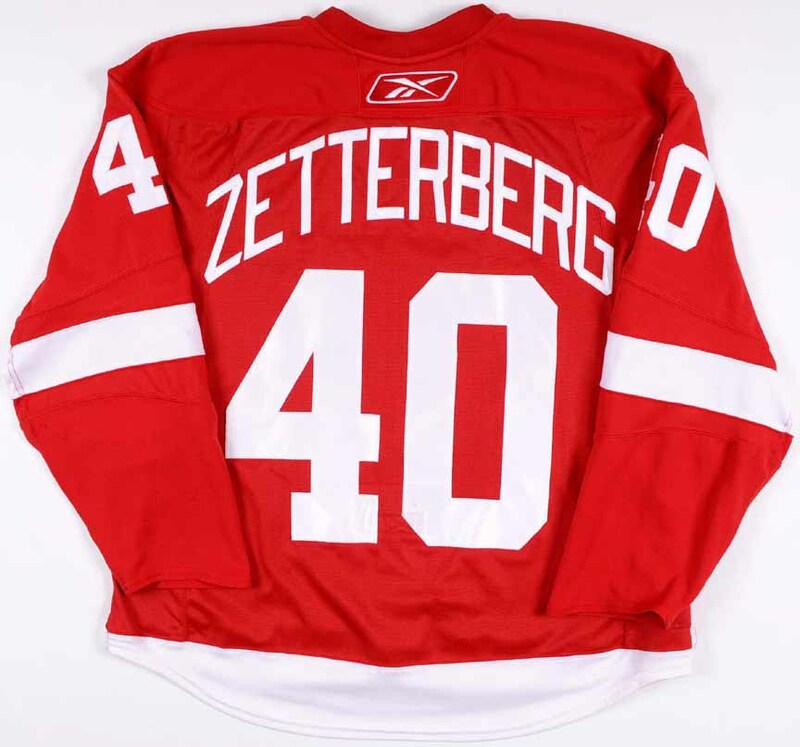 Zetterberg wore this sweater as he compiled the finest season of his NHL career. He netted 43 goals and added 49 assists for 92 points and went on to capture the Conn Smythe as he led the Red Wings to the last Stanley Cup Championship of the Steve Yzerman Era, choice! This jersey will be accompanied by a Red Wings team letter.